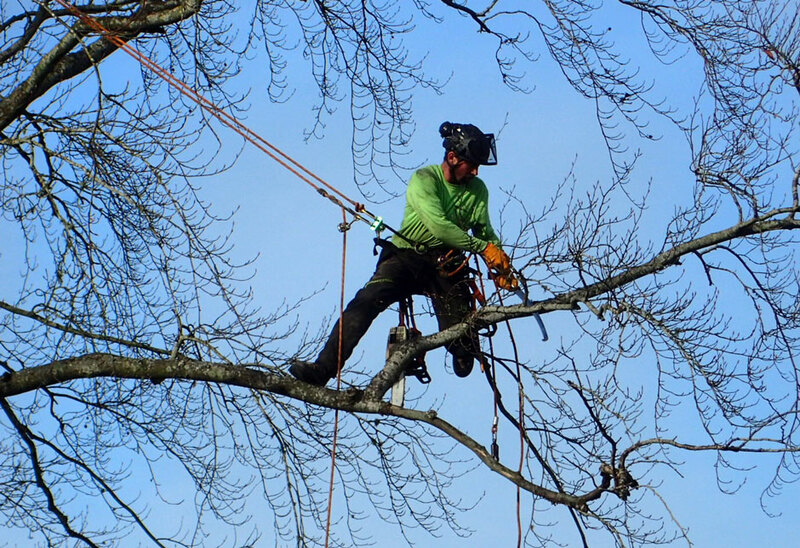 Proper tree pruning is highly specialized within arboriculture and requires considerable experience and knowledge with all areas of tree care. Most structural defects that occur in older trees can be prevented by pruning when the tree is young. This practice can avoid the need for more expensive tree care practices later in the life of the tree and can extend the lifespan of the tree by decreasing the likelihood of branch failures. Many trees have established beautifully into maturity, yet require unique kinds of pruning techniques to ensure the long term health, safety and functionality of these aging specimens. When pruning, arborists must decide which branches to remove. Will only defective limbs be cut or is there a benefit to thinning out the branches? Should the tree remain the same height and spread, or are reductions necessary? Are low limbs interfering with traffic and require raising? What is the size limit on branches to be removed? Before removing any branches, several factors must be considered. What is the condition of a tree? What are the landscape functions provided by the tree? Will pruning maintain or enhance those functions? Are structural defects or storm damage present that should be removed? Are branches interfering with power lines, houses or walkways? Is the tree too dense, or does it need shaping? Will the tree tolerate removal of live branches? What are the customer’s expectations and budget? The answers to these questions will govern how and to what extent the tree is pruned. Often trees will develop undesirable branch or stem unions that result in sometimes predictable failures. A combination of structural pruning and cabling can reduce many risks associated with these poor branch and stem unions so that you can actually retain the trees you love. Cabling is a method of supporting or strengthening a tree structure by the use of anchoring devices and cables connecting two or more limbs within the same tree. Cables are used to limit limb motion, relieve pressure on weak, decayed or split limbs and to prevent splitting of crotches.